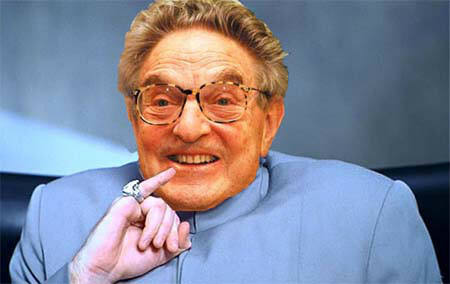 George Soros is planning to bribe up to 13.8 million legal immigrants to become citizens before the 2016 election. They will find you, teach you about the naturalization process and even pay your $680 dollar naturalization fee. And once you are finished, you will get a fresh supply of democratic campaign literature and an application for food stamps. Soros will fund the campaign through his Open Borders group. Not to be left out, Obama is also getting involved. He set up a program called, the White House Task Force on New Americans. Since it would cost them 680 million dollars to naturalize 1 million new voters, I have to believe they plan to target specific House districts and states where a relatively small number of voters can change the outcome of a Senatorial election. Obama and Holder have already provided funding through fines levied on banks caught breaking the rules. Fifty million from Citigroup alone. I’m sure Obama will find a way to use an excessive amount of taxpayer money if need be. Liberals are angry because they have been swamped in two recent elections and they know they can’t count on Americans to vote for them, so this is the next best thing. They’ll probably move them onto the plantation to keep blacks company and create a new permanent underclass. Welcome to the Obama and Soros fundamental transformation of America.